Stretch Spandex Banquet Chair Cover Black - Your Chair Covers Inc. 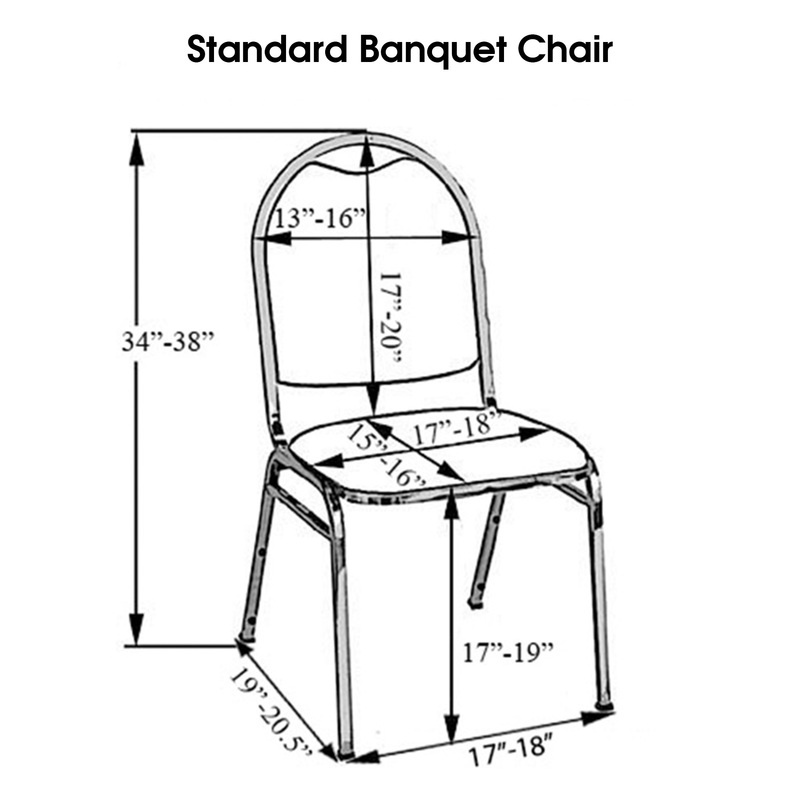 Durable and of premium quality, our spandex banquet chair cover in black is designed to fit any standard banquet chair with round top. Made from high quality four-way stretch spandex material, our black stretch spandex chair covers exemplify modern sophistication and luxurious elegance. For years now, we've been supplying these black stretch chair covers to chair cover rental companies, restaurants, wedding venue owners, hotel and catering business owners. These types of chair slipcovers stylishly contour banquet chairs, giving them the sleek, formal appearance. Black spandex chair covers from Your Chair Covers have deep canvas foot pockets, do not require ironing and can be laundered countless times. If you're planning a lavish event, chair covers from Your Chair Covers make an excellent choice because our wholesale tablecloth and chair cover company is known for meeting hotel and restaurant product quality standards. Hands down these spandex banquet chair covers transformed the chairs. It made everything so much nicer. The only thing is when you have more than 20 chairs (in my case I had 80 chairs) to cover the cost can be pricey! But overall I was very happy with the chair covers. Many companies sell these chair covers. I especially like these because of the elastic pocket that they use that goes around the legs. They're well made and hold up a lot better than the cloth ones that rip. good chair covers, great customer service! Chair covers were ordered and arrived quickly. Customer service even called me back to give me an accurate estimate of shipping charges before purchase. Very pleased with my order. So easy to work with and not worry about wrinkles! The spandex chair covers totally spruced up the horrific chairs that were available at my client's venue and made for a very nice atmosphere. I would definitely purchase more of these products . Excellent quality spandex and a super strong foot pocket. This is the only chair cover I will use.